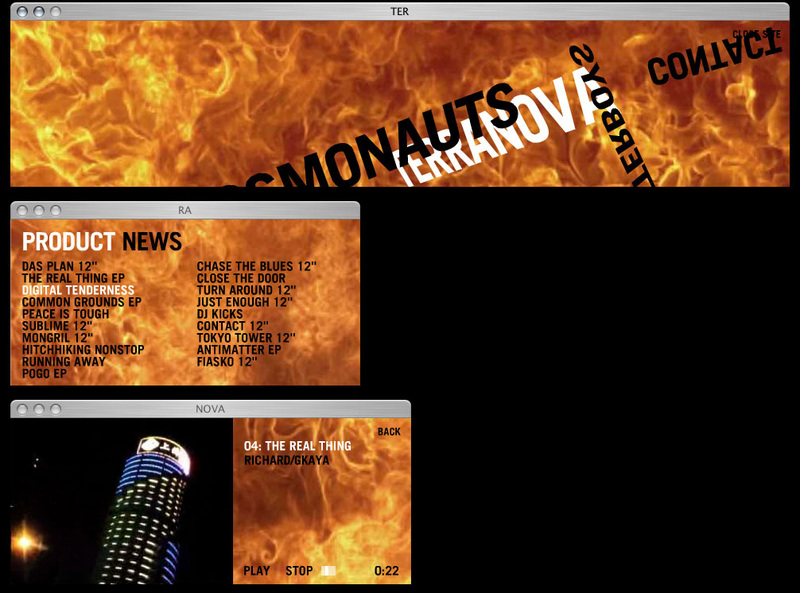 The flash website for the music artist Terranova was designed in collaboration with Jakob Schillinger and Floor5. The site has an unusual concept. 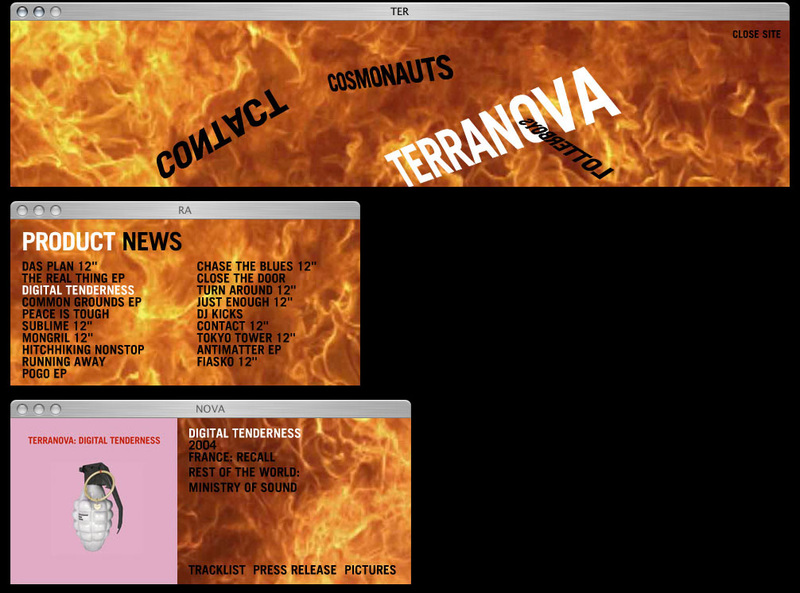 Three popup windows are opened simulatinuously in the layout of the Terranova logo. The user navigates from the top to the bottom. Content like news, photos, tracklists, etc. will be displayed in the lower window. Music samples and videos can be played with the integrated media player. 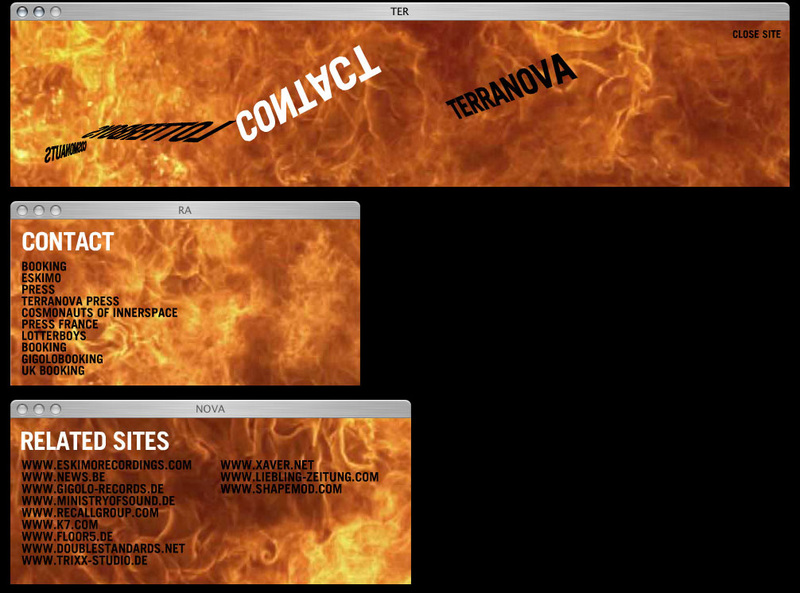 The site is fully based on a content management system, developed by Floor5.